Wrest Point holds a special spot in Australian gambling history as the country's first legal casino. It's almost hard to fathom, but there were no licenced casinos in Australia before the Hobart property opened its doors in 1973. In fact, you can thank the early success of Wrest Point for giving rise to casinos across the nation. 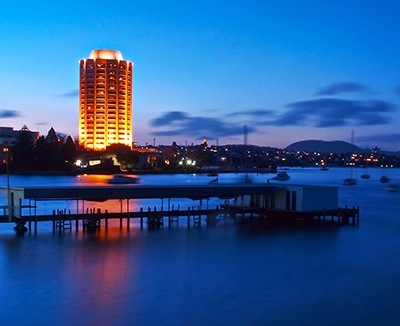 Yet Wrest Point Tasmania is more than a footnote, it's a fabulous entertainment destination. While there's plenty of action in the boutique casino, why not take in a show, relax at any of the four bars, or take in the gorgeous view? With five great restaurants on site and 269 hotel suites, it's easy to pamper yourself. Wrest Point is undoubtedly the best casino in Tasmania. Wrest Point not only offers both American and European roulette at a variety of stakes, but there are multiple ways to play the game. Players can enjoy conventional roulette tables staffed by expert croupiers at a wide variety of stakes. Table minimums typically start at $10, but you can place bets as low as $2.50. Like most casinos, the stakes shift to meet demand but you can head to the VIP area if you have the budget to match. The casino also offers rapid roulette, which adds a bit of technology to deliver the game at higher speeds. Rapid roulette let you place your wager on an electronic terminal rather than at a physical table. All you have to do is make use of your own personal touchscreen. The best part is that there's a new game every 40 seconds, which means more spinning and less waiting around. The rules are the same, except you don't have to worry about keeping track of your chips or mastering the etiquette of the game. It's also wonderful if you want to avoid the crowds, are playing for the first time, or don't like the stakes at the standard tables. The staff at Wrest Point are always friendly and helpful. If you have a question about roulette etiquette or need a refresher course in any casino game, all you have to do is ask. Keep in mind that if you are looking to play roulette in the afternoon, the tables open at 2 pm. Rapid roulette is available daily starting at 1 pm. Casino visitors will find loads of entertaining electronic games. Enjoy pokies and video poker starting at just a cent. If you love the possibility of hitting the jackpot, you'll find networked progressive games that pay out tens of thousands. If table games are more to your liking, you'll appreciate the selection of blackjack, pontoon, and baccarat. Poker fans can count on a solid schedule of cash games and tournaments including the famous Wrest Point Poker Championship. You'll also find frequent single day blackjack tourneys, keno, and a money wheel. No matter which games you prefer, you'll want to take a few moments to savour the spectacular view of the River Derwent from the gaming floor. Wrest Point participates in the Federal Rewards Club. Membership is free and comes with loads of perks. It's easy to rack up points by playing, eating, or lodging at Wrest Point. When you earn enough points you can cash them in for free meals, drinks, gift cards, hotel stays, and more. Why not get even more out of your game? Your card is also welcome at Country Club Tasmania. If you are visiting from out of town and plan on spending the night, you'll want to take advantage of great seasonal deals and accommodation packages. They're affordable and excellent if you plan on exploring the area in and around Hobart. The roulette wheel isn't the only thing that spins at Wrest Point. Head to the 17th floor to experience the delectable French menu and entrancing views. If dining by the water is more to your liking, Pier One Restaurant & Bar offers sensational seafood including those famous southern Tasmanian oysters. 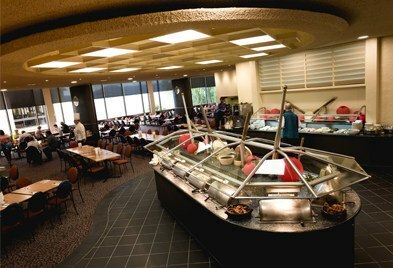 You'll also find pub fare at Loft Bistro, quick bites at Riverview Snacks, and impressive spreads at the Wrest Point Buffet & Coffee Shop. With four great bars, including one on the casino floor, it's always easy to unwind. Wrest Point offers great accommodations to meet just about anyone's needs. The affordable Motor Inn features clean and comfortable rooms at an affordable price. Step up to the 4-star Water Edge and enjoy picturesque views of the Derwent River. You'll find everything for luxury rooms to spacious suites at the Wrest Point Tower. Don't forget to make use of the heated pool, health club, spa, and sauna. 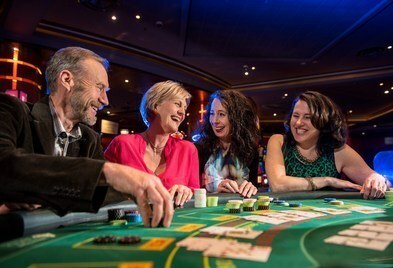 You don't need to gamble to have a great time at Wrest Point. The calendar is always filled with fantastic shows. Enjoy everything from hilarious comedians and tribute bands to international music sensations and the Tasmanian Symphony Orchestra. You can also find lots of free live music at the Onyx and Birdcage Bar. Don't forget there is plenty to do in the vicinity too. Hike up Mount Wellington and check out the Salamanca Market and waterfront or the Museum of Old and New Art. There are great wineries in the area as well. Wrest Point Casino & Hotel accepts a whole host of Australian-friendly banking options. These include Visa, Mastercard, Maestro, PayPal, POLi, Neteller, Ukash, ClickandBuy, and many more.